Saturday, 15 Jun 2019 at 12:00 PM . 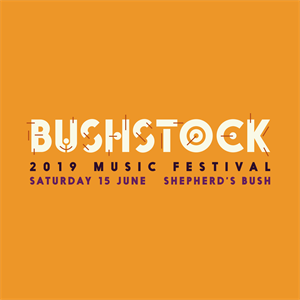 Access to each venue at Bushstock is subject to capacity and the festival accepts no liability and will not offer any ticket refunds if you are unable to attend a specific performance due to the venue being at maximum capacity. You may be required to queue, so please arrive early to avoid disappointment. Due to the independent and unusual nature of most venues at Bushstock (churches, intimate wine bars and more), there are limited venues with dedicated disabled access and facilities. Please notify the festival if you have any access requirements and wish to purchase a ticket so we can organise an assistant ticket for you (contact: bushstock@communionmusic.co.uk). Unfortunately there are no dedicated staff equipped to assist on the day.